This is Pero-Gubi Wine Diary. Pero-Gubi means Good eating - Good drinking. 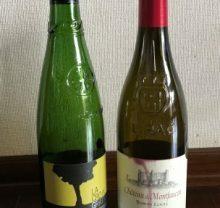 I am Kunio NAITO, the owner of Cave de Reｌax which is one of the most popular wine shops in Tokyo. I have been writing the diary almost every day since 2001.